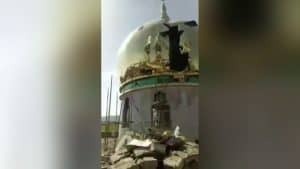 Christians forced to wear a tracking device to be watched by government officials 24/7 and restricted to designated areas they’re not allowed to leave. 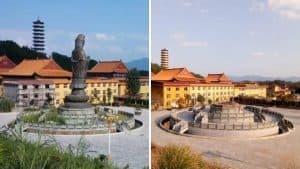 First, Liu Xinhui, in the southeastern coastal province of Fujian, was arrested and sentenced to three years in prison with a four-year temporary suspension. Then she was forced to wear an electronic bracelet so she could be monitored at all times. All because she had the temerity to hold Christian beliefs as a member of The Church of Almighty God, or CAG. At the beginning of her probation, Liu Xinhui was ordered to carry her mobile phone, which was monitored by authorities, with her at all times. Starting in October 2018, she was handed a new type of electronic bracelet to wear during the remainder of her probation. 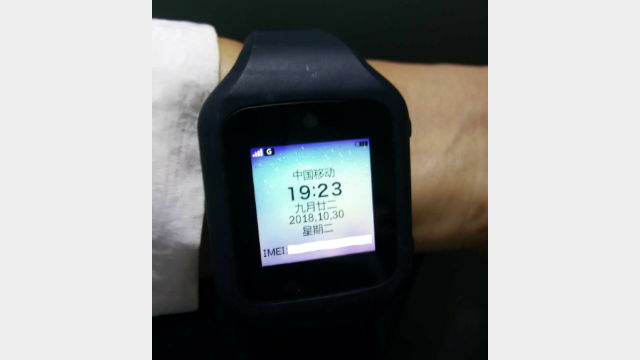 The electronic bracelet, according to Liu Xinhui, looks like a “smart” watch composed of a square-shaped screen and a watchband – it’s also equipped with a microphone, a miniature camera and can also make and receive phone calls. Industry sources say the monitoring device can accurately locate whoever is wearing the bracelet, tracking and monitoring the location, movements and sleep status of the wearer. It’s basically being imprisoned in one’s own home: Not only are the wearers monitored constantly, but they’re also restricted to designated areas they’re not allowed to leave. If they don’t abide by the rules, they’ll be sent to prison or even have their sentences increased. 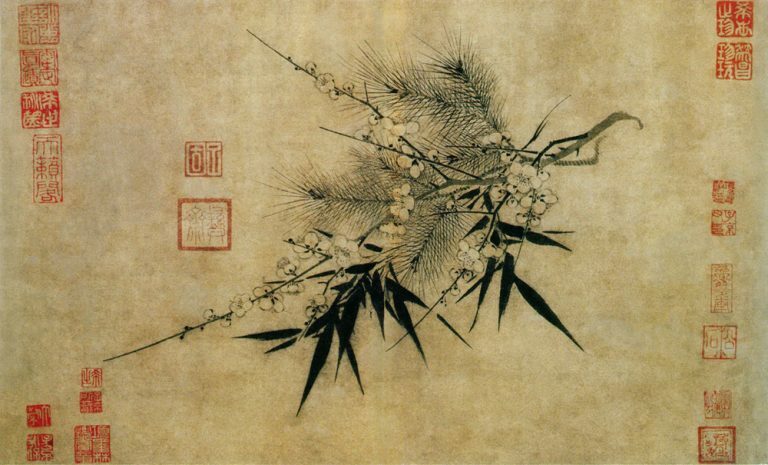 Liu Xinhui once made a request not to wear the electronic bracelet. “That’s out of the question. This demand comes from our superiors. The only exception is for those with heart disease,” a judicial official said. The official also warned her that the bracelet must be worn 24 hours a day, and must not be removed even when showering or sleeping. If it is damaged, she must pay more than 2,000 RMB (about $295) in compensation. He also emphasized that the bracelet can detect the wearer’s heart rate and if it’s removed, the monitoring device will immediately issue an alert. “After wearing the bracelet, my heart feels congested, and I feel very stuffy in my chest. I’m out of breath, and it’s hard for me to fall asleep,” Liu Xinhui said. Liu Xinhui’s mobile phone also continues to be monitored. She is required to keep it powered on 24 hours a day and be on call at any time. Liu is also required to report to the judicial office twice a week, where she is forced to copy laws and regulations by hand. Every month, she has to attend a political study class and perform 10 hours of community work. 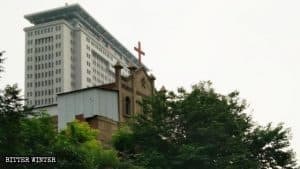 As a result of her constant police surveillance, Liu Xinhui doesn’t contact other members of her church, forcing her to pray and believe in God alone, without the community of fellow believers. She’s not alone in this kind of persecution and isolation. 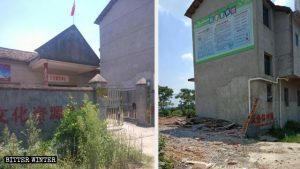 Zhong Xia, a member of The Church of Almighty God in the southern province of Guangdong, is also forced to wear an electronic bracelet and suffer the accompanying surveillance. While serving her probationary period, officials gave her a special cell phone outfitted with positioning software that allowed them to monitor where she was. She was also required to report to the judicial office every day and send them a photo of herself taken with the government-issued cell phone. After she passed this test of checking in, officials kitted her with an electronic bracelet, in November 2017, which she was required to wear 24 hours a day. She was also not permitted to leave the radius that the tracking monitor allowed. Zhong Xia was also required to sign a statement promising that the bracelet is maintained in good condition, are only powered down for recharging at two hours maximum and, if something happens to go wrong with the monitoring bracelets, that she reported it to the Justice Bureau within 12 hours. Zhong Xia was also required to report to the judicial office in person once a week and attend an ideological education class once a month. She wasn’t allowed to believe in God or leave the city; otherwise, her probation would be revoked, and she’d be thrown into prison. 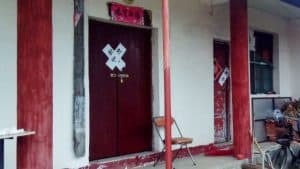 Zhong Xia had lost all her freedom, and over more than three years, she has not contacted other members of the Church. During her probation period, Zhou Fengzhen, like Liu Xinhui and Zhong Xia, is under close surveillance. The judicial office warns her that she isn’t allowed to contact believers of The Church of Almighty God, her church, and if she’s discovered doing so, her probation will be revoked, and she will be put into prison.